Car meets have become a bit of a magnet for random acts of stupidity. Sportscar owners hopped up on coffee and adrenaline seem intent on showing off their car’s accelerative abilities, sometimes ending in rather embarrassing accidents. Supercars don't necessarily need to be at a Cars and Coffee style event to have an accident but they sure seem to do it more often on the way home from these gatherings. It turns out that these moments of foolishness aren’t reserved solely for Mustang drivers either. 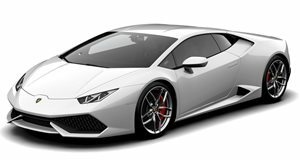 The owner of the grey Lamborghini Huracan Performante you see here wanted in on the action too. 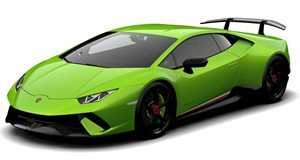 Lined up next to a bright green Huracan he races off down a narrow road and ends up sliding out of control into a wall mere moments later. Thankfully no-one was hurt in the accident but that was just down to pure dumb luck. The street the incident occurred on was lined on one side by cars waiting to get past the stationary Lambos and teenagers with smartphones on the other. It is unclear whether the driver of the Performante was trying to slow down for the corner ahead or just lost control and swerved into the brick wall, but he must have already been going at some pace to sustain that amount of damage to the bodywork. The good news is that nobody was standing nearby when the driver lost control and the tree the Lambo slid into looks totally unscathed. Clearly wood is stronger than carbon fiber and stupidity. He definitely deserves whatever is coming to him, especially the massive repair bill (if it isn’t written off), but let’s not lump every Lambo driver into the same category as this guy. There are plenty of supercar owners who respect the rules of the road and only unleash their cars when it is safe to do so, like on a race track.